Subject: Clarification regarding benchmark for placement under MACP in respect of the official who are due for placement in MACP after 25.07.2016. I am directed to refer to Maharashtra Circle's letter no. STA/MACPs/Bench Mark/2017 dated & 12.2.2017 on the subject cited above and to say that 'Promotion' and 'Modified Assured Career Progression Scheme' (MACP) are two different matters. The first involves higher duties & responsibilities while latter don't. 3.For promotion, Personnel Division vide letter no. 20-24/2016-SPB-II dated 13.02.2017 has clarified to follow instructions contained DOPT's OM No. 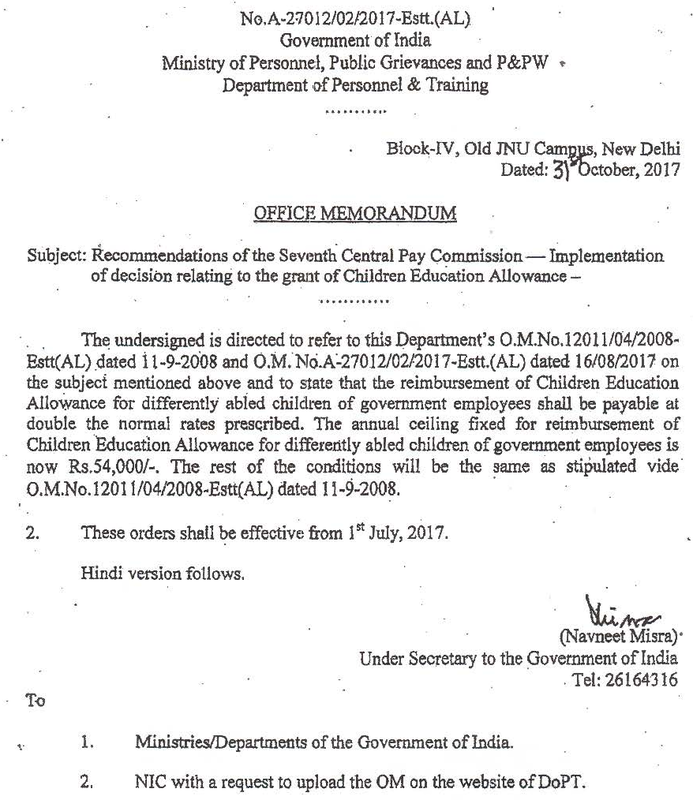 35034/7/97-Estt(D) dated 8.02.2002 until further clarification is issued by DOPT or Department of Posts. At present, there is no proposal under consideration to determine creamy layer for the candidates of general category. The 9 Judge Constitutional Bench of Supreme Court in the case of Indra Sawhney has inter-alia held that "a backward class cannot be determined only and exclusively with reference to economic criterion. It may be a consideration or basis along with and in addition to social backwardness, but it can never be the sole criterion". In its 25th Meeting held on 18th January, 2018, the GST Council had made several important recommendations for the Housing Sector which have come into force with effect from 25th January, 2018. The recommendations are expected to promote affordable housing for the masses in the country. One of the important recommendations made is to extend the concessional rate of GST of 12% (effective rate of 8% after deducting one third of the amount charged for the house, flat etc. towards the cost of land or undivided share of land, as the case may be) in housing sector to construction of houses constructed/ acquired under the Credit Linked Subsidy Scheme (CLSS) for Economically Weaker Sections (EWS) / Lower Income Group (LIG) / Middle Income Group-1 (MlG-1) / Middle Income Group-2 (MlG-2) under the Housing for All (Urban) Mission/Pradhan Mantri AwasYojana (Urban). Credit Linked Subsidy Scheme (CLSS) is one of the components of Housing for All (Urban) Mission/Pradhan Mantri Awas Yojana (PMAY) (Urban). Under this component, subsidy would be provided on home loans taken by eligible urban poor (EWS/LIG/ MIG-I/ MIG-II) for acquisition and construction of house. Credit linked subsidy would also be available for housing loans availed for new construction and for addition of rooms, kitchen, toilet etc, to existing dwellings as incremental housing. The carpet area of houses constructed under this component of the mission would be up to 30 square meters for EWSA, 60 Square Meters for LIG, 120 sqm for MIG I and 150 Sqm for MIG II. The benefit of Credit Linked Subsidy Scheme may be taken by the Economical Weaker sections or Low/Middle Income Groups for purchase of houses under any project. 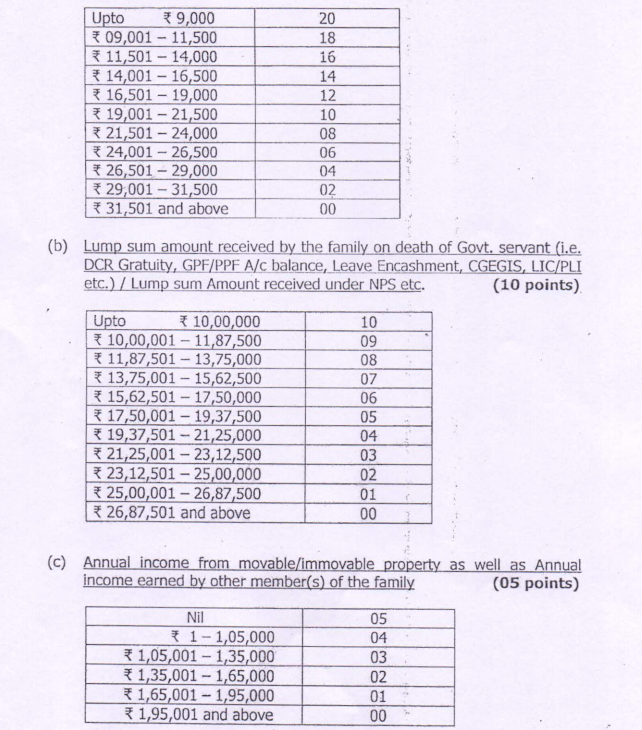 The maximum annual income for eligibility of beneficiaries under the scheme can be up to Rs.18 lakhs. It covers a very large section of population which aspires to own a home. So far, houses acquired under CLSS attracted effective GST rate of 18% (effective GST rate of 12% after deducting value of land). The concessional rate of 12% was applicable only on houses constructed under the other three components of the Housing for All (Urban) Mission/Pradhan Mantri AwasYojana (Urban), namely (i) ln-situ redevelopment of existing slums using land as a resource component; (ii) Affordable Housing in partnership and (iii) Beneficiary led individual house construction/enhancement. The exemption has now been recommended for houses acquired under the CLSS component also. Therefore, the buyers would be entitled to interest subsidy under the Scheme as well to a lower concessional rate of GST of 8% (effective rate after deducting value of land). The GST Council has also recommended that the benefit of concessional rate of GST of 12% (effective GST rate of 8% after deducting value of land) applicable to houses supplied to existing slum dwellers under the in-situ redevelopment of existing slums using land as a resource component of PMAY may be extended to houses purchased by persons other than existing slum dwellers also. This would make the in-situ redevelopment of existing slums using land as a resource component of PMAY more attractive to builders as well as buyers. The third recommendation of the Council is to include houses constructed for 'Economically Weaker Section (EWS)’ under the Affordable Housing in partnership (PMAY) under the concessional rate of GST of 8% (effective rate after deducting value of land). This will support construction of houses up to 30 sqm carpet area. The Fourth Recommendation of the Council is to extend the concessional rate of 12% to services by way of construction of low cost houses up to a carpet area of 60 sqm in a housing project which has been given infrastructure status under notification No. 13/06/2009 dated 30th March, 2009. The said notification of Department of Economic Affairs provides infrastructure status to Affordable Housing. Affordable Housing has been defined in the said notification as a housing project using at least 50% of the FAR/FSI for dwelling units with carpet area of not more than 60 sqm. The recommendation of the Council would extend the concessional rate of 8% GST (after deducting value of land) to construction of flats/ houses of less than 60 sqm in projects other than the projects covered by any scheme of the Central or State Government also. In addition to the above, in order to provide a fillip to the housing and construction sector, GST Council has decided to give exemption to leasing of land by Government to Governmental Authority or Government Entity. [Government Entity is defined to mean an authority or board or any other body including a society, trust, corporation, (i) set-up by an Act of Parliament or State Legislature; or (ii) established by any Government, with 90% or more participation by way of equity or control, to carry out any function entrusted by the Central Government, State Government, UT or a local authority]. Also, any sale/lease/sub-lease of land as a part of the composite sale of flats has also been exempted from GST. Therefore, in effect, the Government does not levy GST on supply of land whether by way of sale or lease or sub-lease to the buyer of flats and in fact, gives a deduction on account of the value of land included in the value of flats and only the value of flat is subjected to GST. It may be recalled that all inputs used in and capital goods deployed for construction of flats, houses, etc attract GST of 18% or 28%. As against this, most of the housing projects in the affordable segment in the country would now attract GST of 8% (after deducting value of land). As a result, the builder or developer will not be required to pay GST on the construction service of flats etc. in cash but would have enough ITC (input tax credits) in his books to pay the output GST, in which case, he should not recover any GST payable on the flats from the buyers. He can recover GST from the buyers of flats only if he recalibrates the cost of the flat after factoring in the full ITC available in the GST regime and reduces the ex-GST price of flats. The builders/developers are expected to follow the principles laid down under Section 171 of the GST Act scrupulously. The above changes have come into force with effect from 25 January 2018. Threshold Exemption under GST for admission to such cultural and sports events in the country increased from Rs. 250 to Rs. 500 per person. In its Meeting held on 18th January, 2018, the GST Council has recommended that for the purpose of GST exemption, the threshold price limit of Admission Ticket for circus, dance,theatrical performances including drama or dance, award functions, pageants, concerts, musical performances, and recognized sporting events may be increased from Rs. 250 per person to Rs.500 per person. The Council has further recommended that admission to planetarium may also been given the benefit of this threshold exemption up to Rs.500 per person. The Notifications giving effect to the recommendations of the Council have been issued on 25th January, 2018. Accordingly, from 25th January 2018, the Admission Ticket to circus, dance, theatrical performances including drama or dance, award functions, pageants, concerts, musical performances, recognized sporting events and planetarium up to Rs.500 per person have been exempted from GST. This measure is expected to promote such cultural and sports events in the country. A Ministry or Department may procure certain non- consulting services in the interest of economy and efficiency and prescribe detailed instructions and procedures for this purpose without, however, contravening the basic guidelines provided in rule 199 to 206 of "General Financial Rules 2017" (GFR 2017). As each Ministry/Department is competent to procure services at their level to meet seasonal or short-term requirements, the centralised data is not maintained in this regard. There are detailed procedures laid down for procurement of such non-consulting services including e-procurement in Chapter 6 of the GFR 2017 and the "Manual for Procurement of Consultancy & Other Services, 2017". Ministries are competent to decide the mode depending on the nature of work, nature of competency required etc. Any deviation or violation can be dealt by the Ministry appropriately. The wages for the persons engaged on contract/outsourcing cannot be less than the minimum wage fixed/notified by the concerned State Government. 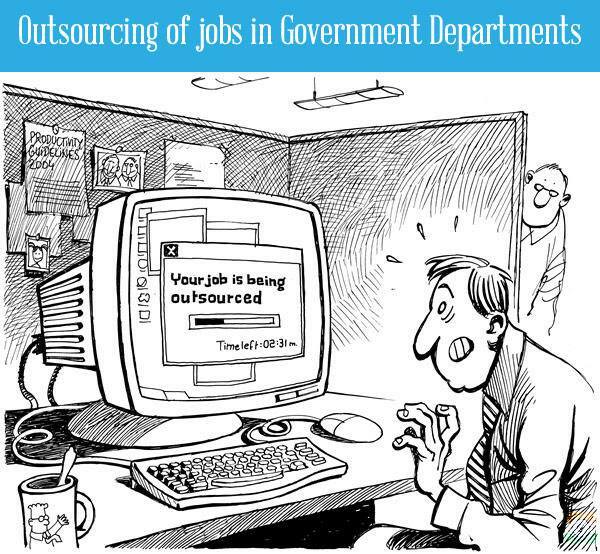 The Government posts are regularly filled up in accordance with the recruitment rules. Each Ministry/Department is responsible for appointment of regular employees against vacant posts after completing all procedural formalities. The centralised data of vacancies and backlog vacancies is not maintained. 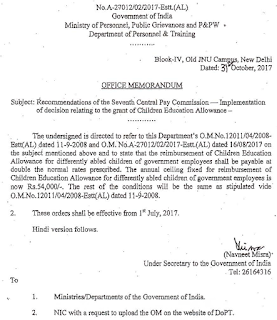 Sub: Scheme for Compassionate Appointment - Relative merit points and revised procedure for selection. A copy of Ministry of Defence D(Lab) ID No.19(2)/2017-D (Lab) dated 09.01.2018 on the above subject is forwarded herewith for information and necessary action please. The undersigned is directed to say that the Department of Personnel & Training under the Ministry of Personnel, Public Grievances and Pensions is the nodal department for Government of India's Scheme for compassionate Appoinment. While considering requests for compassionate appointment, a balanced and objective assessment of financial condition of the families of the applicants has to be made taking into account the assets and liabilities and other relevant factors. The main object of the Scheme is to alleviate the family of the deceased government servant/member of the Armed Forces from indigence and help it get over the emergency. Accordingly, vide Ministry of Defence I.D. No.271/93/D(Lab) dated 2.11.93, Ministry of Defence had developed a 100-point weightage system containing various parameters/attributes to decide the most deserving cases amongst the large number of Defence ID No. 19(4)/824-99/1998-D(Lab) dated 9.3.2001. Consequent upon implementation of the 6th CPC Report, parameters of all these attributes were further revised in 2010 vide MoD note No. 19 (3)/2009/D(Lab) dated 22.1.2010 and 14.5.2010. Presently, the attributes on 100-points scale are - Quantum of Family Pension (20 Points); Terminal Benefits (10 points); Monthly income of family from other sources (05 points); Movable/immovable property held by the family (10 points); No. of dependents (15 points), No. of unmarried daughters (15 points); No. 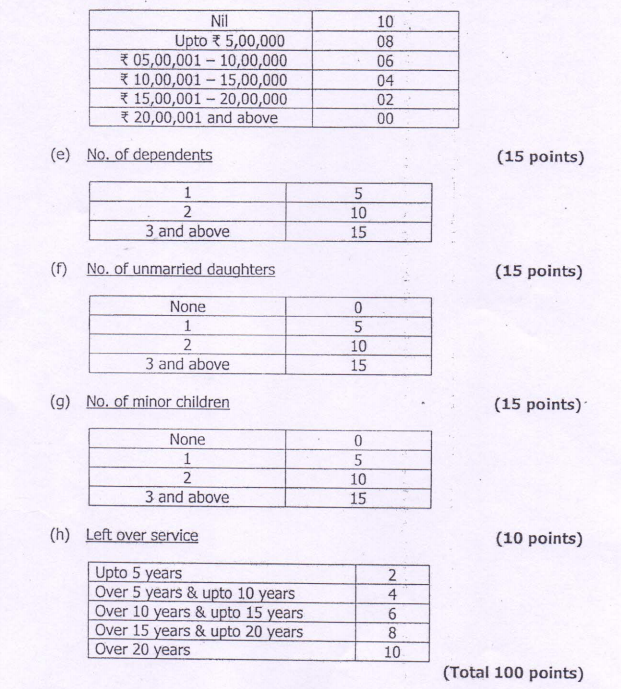 of minor children (15 points) and Left over service (10 points). As per the parctice, compassionate appointment is given to the highest score earner. (c) For cases where death of the deceased Govt. servant occurred on or after 22.1.2010 till 31.12.2015, parameters of 'Terminal Benefits' given in MoD ID note dated 22.1.2010 will be applicable. Sub: Discussions of GS/NFIR held with Railway Board on 31/01/2018 - reg. (i) Action to be expedited in the light of Supreme Court’s order for continuation of LARSGESS with proper safeguards. (ii) Dispensing with 'Very Good' benchmark for granting financial upgradation under MACPS in Railways - already inputs given by NFIR. (iii) Stepping up of pay of Loco Inspectors inducted prior to 01/01/2006 agreed with the NFIR on 5th Jan, 2018 in the meeting by CRB. (iv) A venue of promotion for filling the vacancies of Station Managers in the wake of merger of GP 2800 with GP 4200. Federation requested the Railway Board to take speedy action on NFIR’s proposal. (v) Keeping Ticekt Checking as separate category while taking steps in respect of commercial categories as per record note of discussions held with the NFIR. Forwarded to the affiliates for information and conveying appropriately to the staff concerned.